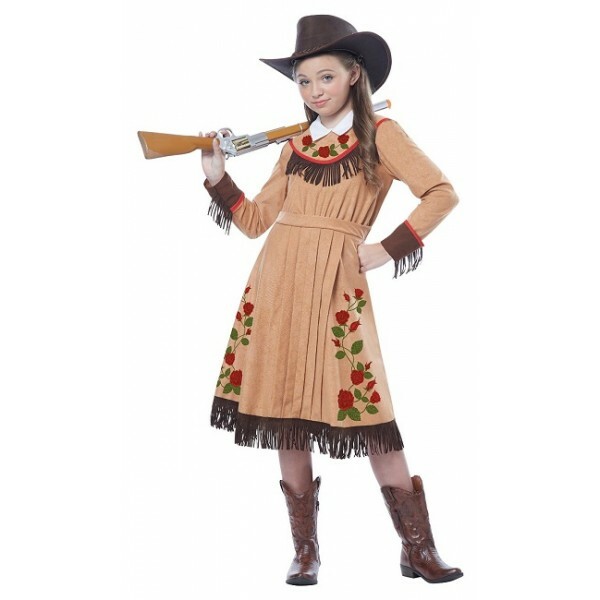 Annie Oakley had no problem being the top gal in the old west, and neither will your child when she goes in this costume. 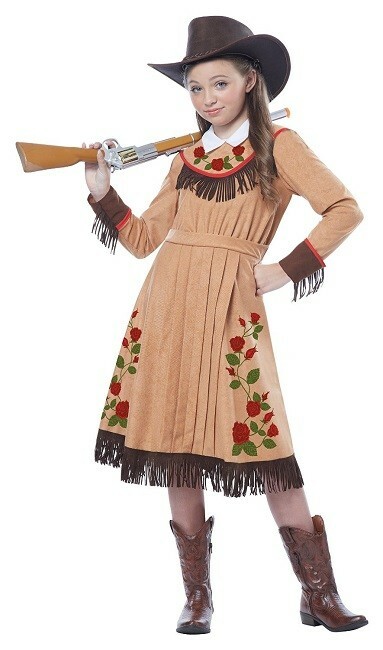 This printed, fringed dress is perfect whether she wants to portray one of the iconic characters of the Wild West in a play or presentation, or she's looking for a fun Halloween costume. Please note: hat, boots, and toy rifle not included.